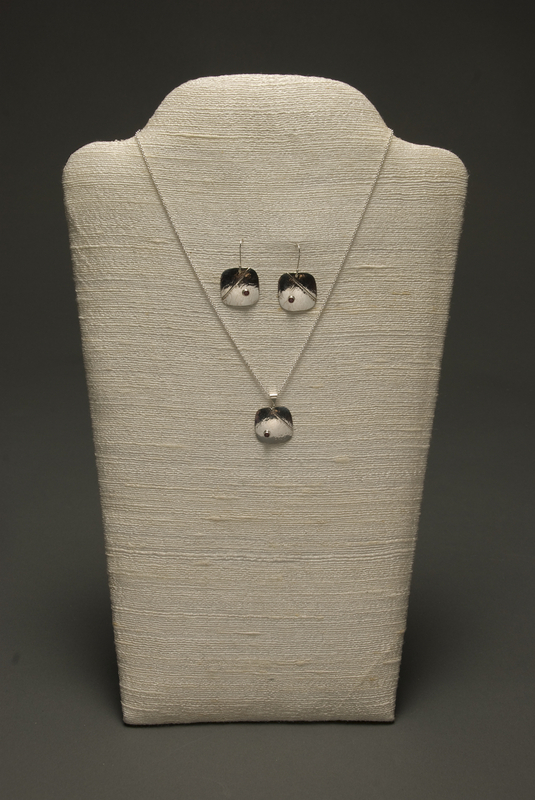 Sterling fold-formed and textured rounded square earrings and pendant with faceted garnet gemstones. Earrings and pendant are all 1.5" long. Pendant comes on a fine 18" sterling rolo chain.